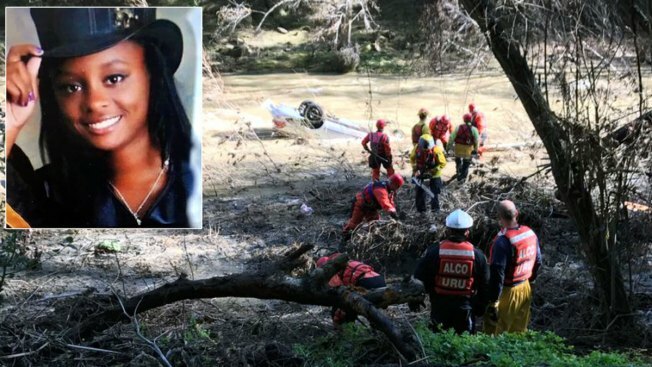 Niles Canyon Road will be shut down in both directions Saturday as multiple search teams continue looking for a teen who crashed her car into Alameda Creek, the Alameda County Sheriff's Office said Thursday. The closure will be from 7 a.m. until 6 p.m., covering most of the daylight hours, as the search for 18-year-old Jayda Jenkins of Tracy enters its seventh day. Jenkins was traveling westbound on Niles Canyon last Sunday, on her way to the Peninsula, when she crossed the center line and collided with a vehicle traveling in the opposite direction then veered into the swift-running creek, officials say. Jenkins' car was discovered Monday. Her seat belt was found to be unfastened and the car's windows were smashed out, officials said. Some of her clothes and other belongings were found Wednesday. Sheriff's deputies and other public safety officers will be joined by Jenkins' family and hundreds of volunteers for Saturday's search.